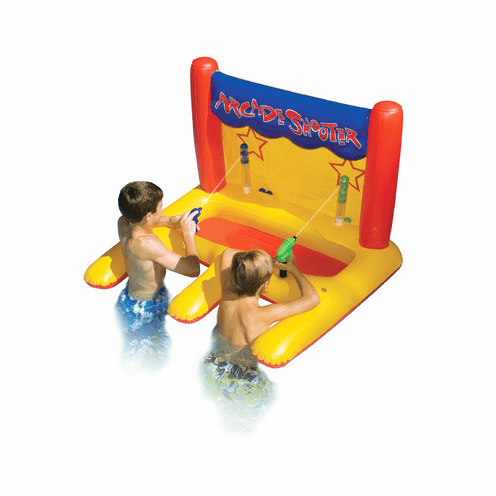 Inspired by the classic carnival squirt gun race game this inflatable game comes complete with two constant water supply pistols. Winner is the first one to shoot out all the balls. A great contest game at kid's swimming pool parties.